The holy day for worshipping snakes is celebrated as Nag Panchami across India. Worshipping snakes is regarded as worshipping the deities as snakes hold a considerable significance in Hinduism. It is also famous by the name of Garuda Panchami. As a symbol of Lord Shiva, devotees offer their prayers to the serpent in order to please Lord Shiva and get his blessings to ward off all the negativity from life and for good fortune. Nag Panchami Puja is basically performed in order prayers to the snakes. 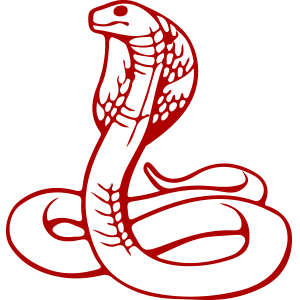 Nag represents Cobra, which is a very auspicious and fortunate reptile being related to several deities in Hindu beliefs. Lord Shiva represents snakes as they are coiled around his neck and body, a snake bed is used by Lord Vishnu for their reclining, Lord Ganesha, Lord Subrahmanya and Goddess Parvati also wear snakes. Thus, snakes are of vital significance in Hindu beliefs and worshipping them bestows incredibly good fortune on the devotees. Nag Panchami Puja is performed on the 5th day of Sawan Month. Check Choghadiya to know the Shubh Muhurat to perform this Puja. What are the requirements for Nag Panchami Puja? While performing the Naag Panchami Puja, there is a need to have all the required materials for completing the ritual in a proper manner. Following are the necessary things which are a must to include in this Puja. If the puja is being observed at any temple then there is no need of the image. Maximum of the temples have their own images which are placed under the Peepal tree. All the ladies gather and perform the rituals. The first thing to do is to offer a holy milk bath to all the images and idols. After this, all of these images or statues are decorated with turmeric paste and vermillion and offered incense sticks. The devotees should then offer all the special things such as sprouts, sweets, and fruits. What are the Nag Panchami Puja Rules? On the day of Nag Panchami, people should not make any kind of fried products or items. Use only steamed and boiled food for the puja. The farmers should perform no tilling of land on the day of Nag Panchami in order to save the snakes from any kind of harm. Which mantra is chanted while performing Nag Panchami Puja? On the day of Nag Panchami, the devotee or the worshipper gets up early morning i.e. before the sun rise. After taking a holy bath, the house of the devotee is purified by sprinkling the water from the sacred river (Gangajal). Then, the idols or pictures of Nag Devta and Lord Shiva are placed and, the devotee take a sankalp of the fast. Nag Panchami Puja is performed. After completing all the rituals, the worshipper breaks their fast in the evening by consuming a sweet or Kheer (prasad offered to Nag Devta). What are the benefits of Nag Panchami Puja? In Hindu belief, Nag Panchami holds significant observance owing to its association with Snakes and the numerous benefits it bestows on the devotees. It bestows long life as well as good health upon the husbands of the female devotees. One is blessed with wealth, happiness and prosperity as the negative effects of Ketu and Rahu are reduced in the horoscope of the person who observes the Nag Panchami Puja and Nag Panchami Vrat. People get relieved from the fear of snakes as well as from the awful dreams of snakes. The farmers consider snakes as their guards and friends since the snake prey on rats which destroy their crops. Know more about Nag Panchami Celebrations and the significance of this colorful festival in Hindu culture.